A lot of us, when we think of a writer, think Writer = Best-Selling Author. Dictionary.com defines a writer as “a person who commits his or her thoughts, ideas, etc. to writing.” Using this definition, anyone who writes, whether for their own enjoyment or for publication, is a writer. You don’t have to be a best-selling author. Besides, those best-selling authors didn’t start out on the best-seller lists. Noted Colorado best-selling mystery authors Margaret Coel and Diane Mott Davidson got their start as writers with short stories (Diane) and as a newspaper journalist (Margaret). John Krakauer, a mountaineer, climbed some of the most difficult ascents in the world then started writing about the tragedies and triumphs, first for Outside magazine. Let’s explore what qualifies as writing. Writing is a form of communication, a way to tell a story. Regularly keeping a detailed diary or journaling can help you get your thoughts and feelings on paper or an e-document if you’d rather use a keyboard. Doing an annual Christmas letter for friends and family is another form. Jot down notes throughout the year and use them to compose your letter. Volunteering to help out with a church or club newsletter is yet another way. If you like making up stories in your head, write them down. Short stories can be a hundred words or several thousand. They have a beginning, middle and end just like a novel. Do you have a personal story that others could relate to and that may help them get through a similar situation? Write it down. In this area you have many opportunities to become a writer or a better writer. Northern Colorado Writers, a local writers’ group, offers classes to non-members. Check out class listings or the community service classes offered at local colleges and community colleges. You can also find out about upcoming workshops online. Get some books on writing from your local library or bookstore. The main thing to do to be a writer is to just write. Every day. Even if it’s just for 10 minutes The more you do it, the easier it will be. Make it a habit. Tell a story, real or imagined. Tell a friend or family member a story. Are they interested? Do they like what you write? If so, kick it up a notch and join a writers’ group or critique group. Beware that not all writers’ groups or critique groups may be a good fit. Keep writing and one day you may find yourself a published author or even that best-selling author. If fame is not your thing but you just like to write for your own enjoyment, that’s okay, too. You’re still a writer. 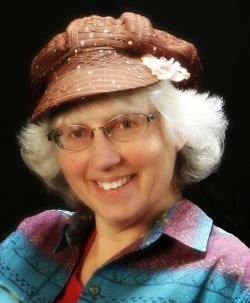 Deborah is a member of Northern Colorado Writers and an avid motorcyclist who occasionally tears herself away from the bikes long enough to write or take photographs. Deborah currently lives in the land of strong winds, a.k.a southeast Wyoming. I am if I say I am :-) I personally like the term "emerging writer" because it feels like wherever I am in my writing process, I'm growing and evolving. Whether I "emerge" into major publication remains to be seen. I also like "apprentice author" - that also seems approachable. Mostly I ignore labels or create my own. Like you said, the important thing is to write. It also helps to get involved in local writing groups. The Wyoming Writers Website at http://www.wyowriters.org/ provides information about groups in this state. Otherwise, try searching for state writers' organizations online and look for local groups in newspapers. Hi, Debbie: Great advice! I like this quote: The main thing to do to be a writer is to just write. Every day. Even if it’s just for 10 minutes The more you do it, the easier it will be. Make it a habit.